Are books the LPs of the future? The first time I experienced BookExpo America (BEA)—the annual gathering of the nation’s editors, publishers, agents, and booksellers—was nine years ago, in Chicago. The atmosphere in the convention center was downright carnivalesque. Booths overflowed with “swag,” all the junk publicists dream up for their promotional campaigns: tote bags, buttons, little notepads, mugs. (I still have a coffee cup saved from a BEA years past, bearing the title of a book that I never read despite its obvious usefulness: “When Difficult Relatives Happen to Good People.”) You had to be prepared to pounce on the hottest galleys, which ran out quickly. Costumed mascots roamed the aisles. You couldn’t take more than a few steps without somebody thrusting something in your face. My editor and I left lugging back-breaking bags filled with galleys and catalogs, despite the fact that all the same material would be arriving at our office within a few weeks. You had to see it now. 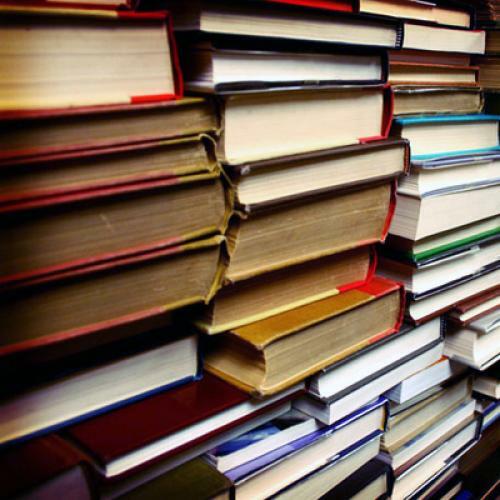 We all have heard, over and over, that the book industry is dying: Garrison Keillor’s much-talked-about New York Times jeremiad made the point again last week. Book gatherings today have the feel of a “Historic Moment, like a 1982 convention of typewriter salesmen or the hunting party of Kaiser Wilhelm II with his coterie of plumed barons in the fall of 1913 before the Great War sent their world spinning off the precipice,” Keillor wrote. The digitalization of everything, of course, functions both as the cause of book publishing’s death and the possible means of its resuscitation, in the event that some sort of e-reader ever catches on. (The iPad was the elephant in the closet at BEA, on everyone’s mind but mentioned only with a degree of embarrassment at its obviousness.) But publishers have been slow to embrace e-reading as a remedy to some of the excesses that have brought the industry down. It’s ridiculous, for instance, that in a time when we buy everything from shoes to groceries online, publishers are still printing beautifully produced, lavishly illustrated paper catalogs. Yet Harper Collins was the only house that used BEA to emphasize its readiness to enter the digital age, its booth decorated with a constantly changing digital display, the shelves where catalogs ordinarily are stacked left pointedly empty. At one panel I attended, titled “The Next Decade in Book Culture,” Nicholas Latimore, a publicist for Knopf, waxed lyrical about the material qualities of a hardbound book. His house has always gloried in its beautiful design: the colophon page at the end that identifies and gives the history of the font the book was set in; the deckled edges on the most prized books, which encourage the reader to turn pages slowly rather than flipping through; even the attention that book designers put into choosing paper with “the right tooth”—that perfectly calibrated roughness of texture. In response, someone commented that the hardcover book might be going the way of the vinyl LP: largely obsolete, replaced by a cheaper and more convenient product, but still prized by connoisseurs for the superior quality of the aesthetic experience it offers. A collective gasp was stifled at this idea. But perhaps it’s not so crazy. Of course, the book has been around a lot longer and is far more deeply entrenched in our vision of culture—both what it is and what we want it to be—than the LP, which turned out to be a disposable format, a means to an end. Yet what the digital revolution in the music industry shows us, I think, is that what people want is music: the format doesn’t matter nearly as much as the product. As we moved from 45s to LPs to eight-tracks to cassette tapes to CDs to MP3s, the music itself remained the constant. What we wanted, it turned out, was to have as much music as possible at our fingertips at any given moment, easily accessible. This hasn’t been an unmitigated boom for the music industry, but it’s also been far from an unmitigated disaster. And I have faith that people—who have been telling stories just as long as we’ve been singing songs—will continue to want novels, too, no matter the format. I like deckled edges and toothsome paper as much as the next person, but if they turn out to be extravagances we can no longer afford, well, I still plan to keep reading.